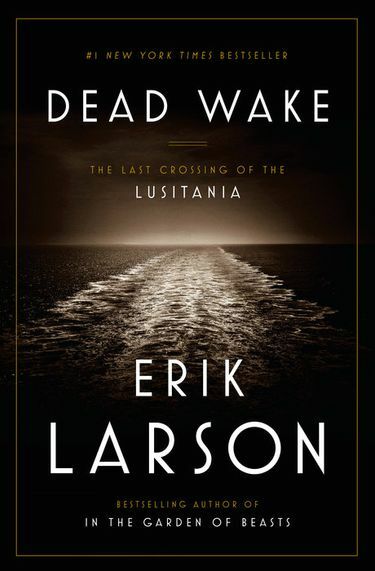 “Dead Wake” by Erik Larson. The Washington Center for the Book at Seattle Public Library announces its annual awards. Other winners included Carl Phillips’ “Reconnaissance” in the poetry category (Phillips, born in Washington state, now lives in St. Louis, Missouri); Shoreline author Mark Rozema’s “Road Trip,” for biography/memoir; and young-reader titles by Martha Brockenbrough (“The Game of Love and Death”), Beth Hautala (“Waiting for Unicorns”), Deborah Underwood (“Here Comes the Tooth Fairy Cat”) and Jessixa Bagley (“Boats for Papa”).